National media coverage of the property market needs to be balanced from a ‘National’ perspective, I get that. What never ceases to amaze me is that generally the media see one homogeneous property market, or at least that’s how it is portrayed in any given media story. However, comparing the Brisbane property market to that of say Melbourne or Sydney does not always make sense, if rarely. The reality is that there are many markets nationally, there are actually many markets in any locality. This means there is no ‘ONE’ property market, despite many reports in the media suggesting otherwise. Therefore, when the Sydney property market is compared with the Brisbane property market or the Sydney property market with the Melbourne property market, it is not a like for like comparison. Markets move in different cycles, sometimes for very different reasons, but generally the underlying factor is supply and demand. The reality with the Brisbane market is that its cycle has been slow to move in an upward trajectory this time around. It has seen very little growth in key areas for the last decade, partly because of the demand driven Melbourne and Sydney markets that seemed to offer more. Good quality property in key inner suburbs of Brisbane has always held its value and outperformed outer areas when the wider Brisbane property market experienced growth. This has been largely due to the supply and demand constraints on housing close to the city, but in the past 8 to 10 years the supply side has been in competing conflict with multi-unit developments. The density of Brisbane has always been low when compared to other Australian capital cities. Over the last decade there has been a change to inner Brisbane with many unit and townhouse developments being built as a result of the State Governments ‘Southeast Queensland Regional Plan’. With many new inner city developments, demand for stand alone housing slowed as many investors were attracted by several key things. Amongst these were the shining new fittings and fixtures of new developments, the lure of depreciation and the promise of higher rental returns. With several key development players in the market place and many smaller ones entering the market, supply was always going to be plentiful. With figures being touted by some market research companies showing that Australia’s fastest growing household were no longer families, things would change. It was now couples and single households that were showing strong growth figures, and they did not want a house in the suburbs! Through the period of 2007-2010 there was increased supply in apartment/strata supply. In January 2011 Brisbane suffered one of its most devastating floods, which in hindsight may have triggered the beginning of the end for the apartment market. Through the period of 2011-2014 it was clear that an oversupply was upon the market, but many developers and in turn banks, were heavily invested in projects under construction that required completion. From 2014 the rate of approvals and new project commencements started to decline, but the damage was done and an apartment price free fall was underway. Although the inner Brisbane housing market has experienced growth, it has not reached its potential. Over the last decade, a mining downturn, slowing population growth and peaking supply of apartments has really kept any substantial growth out of that inner housing market. Mind you, it is not all existing units that can be put in the no growth/low growth basket moving forward for the medium term. Developments in key locations targeted at the owner occupier market with larger proportions are projected to see good underlying demand from the downsizer market. This market will seek to realise growth in their long held, most substantial asset to chase a better lifestyle with more flexibility, but with a spare bedroom or two for the odd returning child or grandchildren. 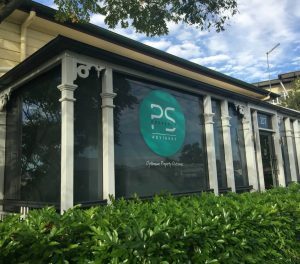 While a certain percentage will chose units, many will make a small lot purchase close to the city and lifestyle precincts with cafes, restaurants and cinemas. The downsizer market will also overlap with the family market that have teenage children as they capitalise on growth from housing with large lots close to the city that are attractive to young families. Local knowledge is often undervalued by those who most need it or goes unrealised by those who think they know better. By time and active involvement in the property market and unquantified level of knowledge and experience is gathered and built upon. Inner Brisbane property is in the box seat to perform well and outperform the other major capital cities. Why? Because we know the Brisbane property market, and it is the inner Brisbane segment’s time on the property cycle clock to perform.